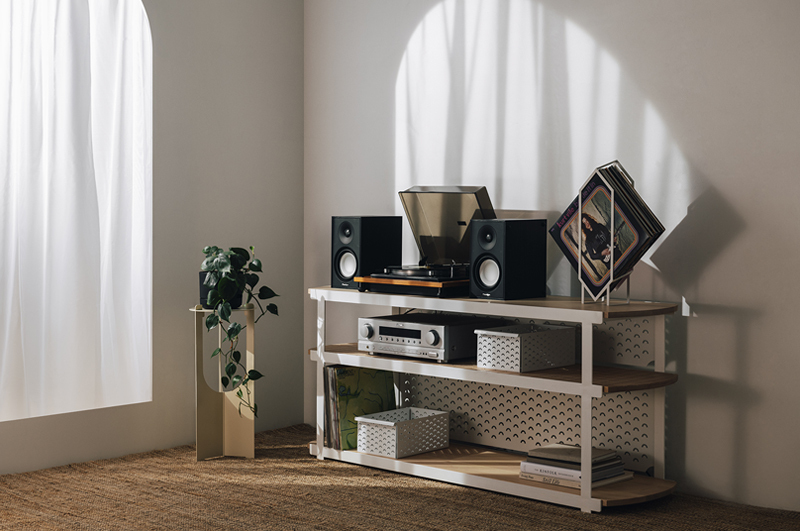 More is more with this entertainment unit. 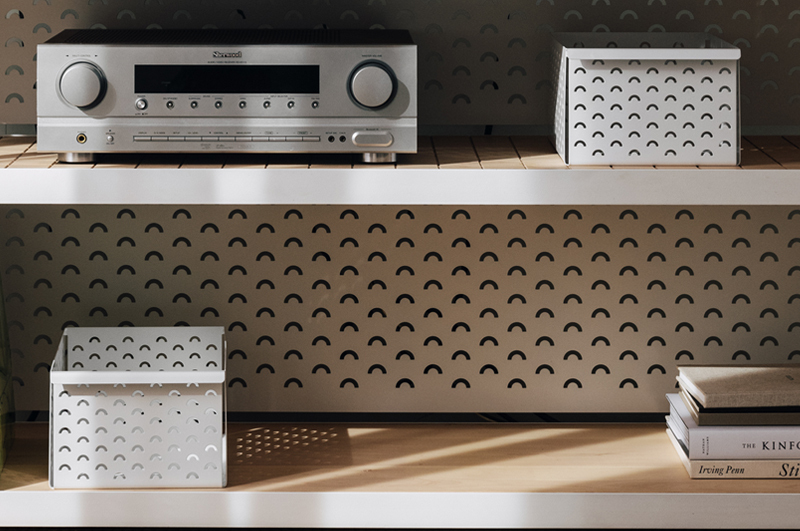 A custom perforation (lovingly referred to as the sad-face rainbow pattern) is paired with American maple shelves, including a grid routed centre shelf, and encased in the graphic lines of a matte white steel frame. 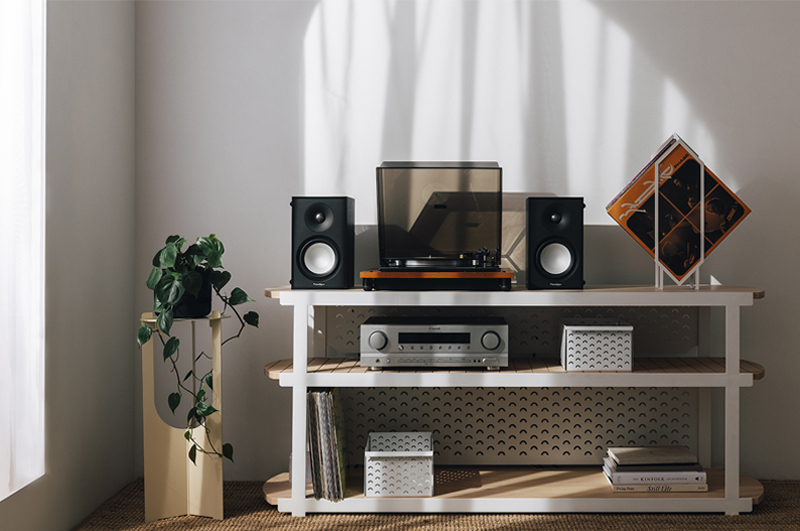 The bottom shelf perfectly fits your record collection while the matching organisation boxes, in a mini perforation, neatly store all the little bits and pieces.